India now accounts for a meagre 0.123 per cent of the total global wealth worth $1.6 trillion in Switzerland's banking system. Just two big banks, UBS and Credit Suisse, account for 82 per cent of the total money kept by Indians in Swiss banks. India has moved down to 61st place in terms of foreigners' money in Swiss banks and it now accounts for a meagre 0.123 per cent of the total global wealth worth $1.6 trillion in Switzerland's banking system. While the UK and the US have retained their top two positions with the largest shares of the foreign clients' money with Swiss banks , Pakistan has inched up to 73rd place. Interestingly, just two big banks -- UBS and Credit Suisse -- account for nearly two-third of the total money kept by foreigners in Swiss banks, while their share in case of Indians is even higher at about 82 per cent. As per the latest data released by Switzerland's central banking authority SNB (Swiss National Bank), Indians' money in Swiss banks declined by over 10 per cent to about 1.8 billion Swiss francs ($1.98 billion or Rs 12,615 crore) in 2014. This accounts for just 0.123 per cent of the total funds kept in the Swiss banks by people from across the world. This is the second lowest level of Indian money in Swiss banks - after an increase of over 40 per cent in 2013 - and the latest data comes amid an enhanced clampdown against the famed secrecy wall of Switzerland's banking system. The funds, described by SNB as 'liabilities' of Swiss banks or amounts due to the customers of banks in Switzerland are official Swiss figures and do not indicate to the quantum of the much-debated alleged black money held by Indians in the safe havens of Switzerland. Besides, SNB's official figures do not include the money that Indians or others might have in Swiss banks in the names of entities from different countries. An analysis of the latest SNB data also showed that the big banks accounted for 1.48 billion Swiss francs of Indians' money, up from 1.36 billion Swiss francs a year ago. 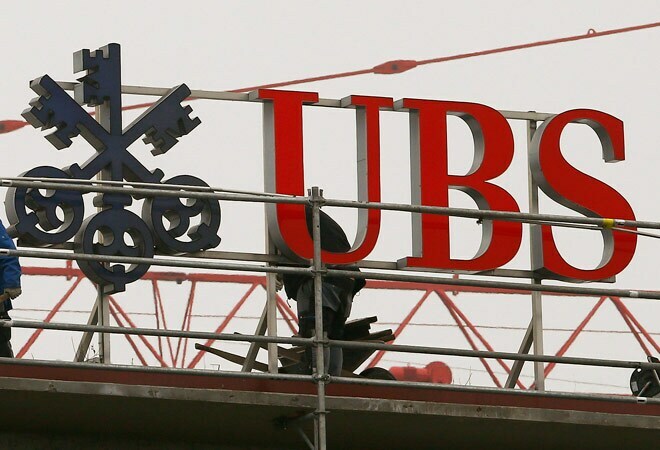 At the end of 2014, there were 275 banks in Switzerland, but only two - UBS and Credit Suisse - were classified as 'big banks' by Zurich-based SNB at that time. There are also many foreign-controlled banks operating in the country. The two big banks' share also rose in the case of the UK, the US and a number of other countries. Their share almost doubled in case of Pakistan to 472 million Swiss francs, but still accounted for just 36 per cent of the total amount of 1.3 billion Swiss franc held in all Swiss banks by their clients from that country (up from just about one billion Swiss franc a year ago). This pushed Pakistan one place higher to 73rd place on the overall list of the countries in terms of foreigners' money in Swiss banks. India has come down three places. In the top-ten, the UK and the US are followed by West Indies, Guernsey, Germany, Bahamas, Luxembourg, France, Jersey and Hong Kong. The UK alone accounts for 22 per cent of total global funds in Swiss banks. Just four top nations together account for over half of all foreigners' wealth in Swiss banks, which rose to 1.47 trillion Swiss franc (about Rs 102 lakh crore or $1.6 trillion) in 2014. There are only 19 countries with share of over 1 per cent each and they together command more than 80 per cent of funds. The remaining 20 per cent is divided among close to 200 other countries. China (up at 26th place with 8.2 billion Swiss franc) has a share of 0.55 per cent, while Pakistan has 0.09 per cent. A number of perceived tax-havens rank higher than India in terms of money in Swiss banks, while others placed above India include Singapore, Italy, Japan, Australia, Russia, the UAE, Saudi Arabia, the Netherlands, Belgium, Spain, Israel and Cyprus. More than half of the total funds comes from the developed countries (854 billion Swiss franc), while the offshore centres account for 415 billion Swiss franc and all the developing countries put together 207 billion Swiss franc. Europe accounts for about 900 billion Swiss franc, while Asia Pacific's share is close to 500 billion Swiss franc. As per the latest data, the total Indian money held in Swiss banks at the end of 2014 included 1,776 million Swiss franc or Rs 12,350 crore held directly by Indian individuals and entities (down from 1,952 million a year ago), and another 38 million Swiss franc (down from 77.3 million Swiss francs at 2013-end) through 'fiduciaries' or wealth managers. However, amounts due to customers' savings and deposit accounts was only CHF 52 million (down from CHF 63 million a year ago), while over CHF 100 million was due through other banks and the remaining amount of well over one billion Swiss francs have been classified as other amounts due to the customers from India. As per the latest data, the amount held by Indians through fiduciaries has reached a record low level, while it used to be in billions till about seven years ago. The latest data from Zurich-based SNB comes at a time when Switzerland has begun sharing foreign client details on submission of evidence of wrongdoing provided by India and some other countries. It has been facing growing pressure from India and many other countries to share foreign client details, although its own lawmakers were resisting such measures for a long time. According to the SNB data, funds held by the US entities in Swiss banks rose for the second consecutive year and stood at 244 billion Swiss franc at the end of 2014, despite a major crackdown by the American authorities against the Swiss banks. The countries ranked below India include Qatar, Oman, Iran, Mauritius, Norway, Denmark, Finland, Nepal, Bangladesh, Vatican, Zimbabwe, Sri Lanka, Afghanistan, Myanmar and Bhutan. Greece, Lebanon, Argentina, Turkey, Canada, Mexico, Austria, Brazil, Ireland, Venezuela, Indonesia, Kuwait, Sweden, Egypt, Malaysia, Jordan, Thailand, South Africa, South Korea, Philippines and New Zealand are above India.